Abre tu iPhone, iPad u otros dispositivos sin problemas y consigue reparar todo lo que necesites. Por ejemplo, descubre cómo sustituir un Hard Drive en un Mac Mini, el iSesamo te será de gran utilidad. 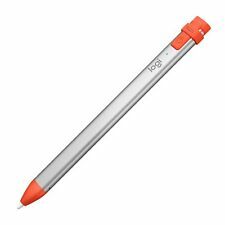 Teclast Active Stylus Pen For Teclast Tbook11 Tbook16 Pro x98 Plus Tbook10. El estado es Nuevo. Enviado con Correos: cartas ordinarias. Batería BQ EDISON 1 BT-D0BDN. 100% ORIGINAL. 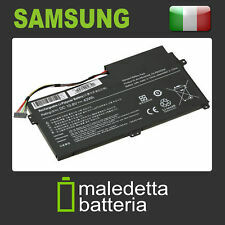 90% de Vida Útil "DESMONTAJE"6400mAhBattery BQ EDISON 1 BT-D0BDN 100% ORIGINAL. 90% Useful Life. M3 hexagonales fabricadas en nylon para tornillos y fijaciones en placas PCB, aeromodelismo, proyectos DIY. LCD 1602 Keypad Shield para Arduino. con Arduino. Modulo RTC DS1302 Reloj TiempoReal AVR PIC Arduino. IT WILL NOT FIT TO ASUS T100HA. Fix cracked lens, non-working touch function on your tablet. COLOR : BLACK. Cable flex conector de carga micro usb tablet Sony Xperia Tablet Z. Este es el cable flex con el conector de carga micro usb para la tablet Sony Xperia Tablet Z. Modelos compatibles: SGP311, SGP312, SGP321 y SGP351. Si tienes algun problema de carga o conexion de datos, el conector de carga esta roto, no puedes cargar la tablet, necesitas mover el cable para buscar el punto donde carga, lo mas probable es que tengas este conector dañado. .
El magnífico 1280 x 800 píxeles. Tablet Professional. • La Windows 8.1 Pro. Incluye unadaptador USB DC5V para que lo puedas enchufar en un enchufe. Si recibe unpedido defectuoso, le reembolsaremos la parcialidad o la totalidad del artículo. Fix cracked lens, non-working touch function. COLOR : BLACK. Free set of tools. What you will receive We know how important is your smartphone so Get This Item Fast from Us. Amazon Kindle Fire HD 7" SV98LN 5th Gen 2015. 1x Touch screen digitizer for Amazon Kindle Fire HD 7" SV98LN 2015. 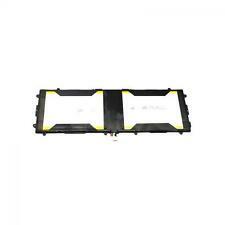 It is used to repair faulty screen, touch screen problems, cracked touch screens, broken etc. Fix cracked lens, non-working touch function on your tablet. COLOR : BLACK. 1x Touch screen digitizer forLENOVO TAB X103F. Lenovo TAB 3 TB3-X103F. 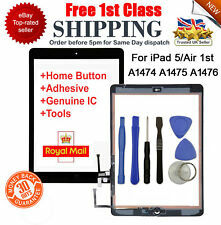 It is used to repair faulty screen, touch screen problems, cracked touch screens, broken etc. Fix cracked lens, non-working touch function on your tablet. COLOR : WHITE. TESTED AND ENSURED, 100% WORKING. 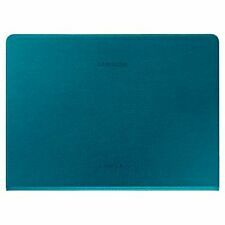 Compatible with: For iPad 6 Air 2 A1566 A1567 Black. Colour: Black. IT WILL NOT FIT TO ASUS T100HA OR T101HA. Fix cracked lens, non-working touch function on your tablet. COLOR : BLACK. TESTED AND ENSURED, 100% WORKING. Incluye estuche de transporte con toallita limpiadora y antipolvo. Protector transparente anti-arañazos. NOTA IMPORTANTE. LENOVO TAB 2 A10-70 TOUCH DIGITIZER. 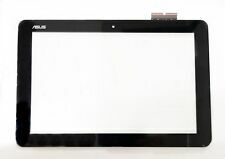 LENOVO TAB 2 A10-70 A10-70F A10-70L TOUCH SCREEN DIGITIZER 10.1". Fix cracked lens, non-working touch function on your tablet. COLOR : WHITE. TESTED AND ENSURED, 100% WORKING. Housseneuve pour Nolim HD6". Couleur Rouge, photo contractuelle. Type : Digitizer Touch Screen LCD Display. Color : White. Item Dispatchedwithin 24Hr. We will respond to you within 24 hours and do our best to help you. Condition : New. LENOVO A10-70 A7600 TOUCH DIGITIZER. LENOVO A10-70 A7600-F A 7600-H TOUCH SCREEN DIGITIZER 10.1". Fix cracked lens, non-working touch function on your tablet. COLOR : BLACK. TESTED AND ENSURED, 100% WORKING. Smart Case para Ipad Pro 9.7". Cuando levantas la smart case el Ipad se activa y cuando la cierras entra en reposo. La Smart Case Consta de Dos Partes: Una Funda delantera con micro fibra Una Carcasa trasera rígida transparente del mismo color que la Funda delantera. Fix cracked lens, non-working touch function on your tablet. COLOR : BLACK. Why Buy From Us?. A very cool feature that is included with this phone is the built in voice changer with 13 different voices . This is great if you want to play tricks on your friends with a few prank calls. Built in Voice Changer. 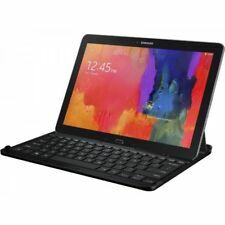 Específico de tablet samsung tab 10.1'. materiales y acabados de alta calidad. compatible con. tablets samsung tab a 10.1 con android. incluye: teclado bluetooth incoporado. indicador led de funcionamiento. $Amazon Kindle 4 Luxury LuxFolio PU Leather Dual Flip Stand Case Cover - Pink ---A luxury case that is stylish, functional and protective ---Doubles as a stand to keep your Kindle propped up on any surface ---Made from a durable material for protection with soft inner lining to keep your screen protected ---With cut-outs for complete access to all ports & buttons The Flexfirm Luxfolio Stand Case for Amazon Kindle 4 (is the ultimate accessory for your Kindle. The case is designed to provide not only superior protection for your Kindle with a durable outer layer and a softer inner lining, but it also doubles as a stand for added functionality. The stand can be positioned to suit your preference and is easy to adjust. LENOVO IDEATAB A8-50 A5500 A5500F TOUCH SCREEN DIGITIZER. LENOVO IDEATAB A8-50 A5500 TOUCH DIGITIZER. Fix cracked lens, non-working touch function on your tablet. COLOR : BLACK. TESTED AND ENSURED, 100% WORKING. WE RUN THROUGH 3 POINT QUALITY CHECK TO ENSURE THE ITEM YOU RECEIVED IS IN UTMOST CONDITION. No te pierdas ningún contenido de tus redes sociales instalando en ella todas las aplicaciones que desees de Google Play. En definitva, una gran tablet a un precio de gama baja que cumplirá con todas tus expectativas. Si quieres disfrutar de una tablet contodas las funcionalidades unidas a ungran precio, la has encontrado, laBTPC-1019QC en color blanco de Brigmton. La tablet que te presentamos, posee unas características y cualidades de alta calidad. Touch Screen Digitizer. Screen TypeLCD Touch screen Digitizer Assembly. High-sensitivity touch screen digitizer LCD screen display is included. Compatible with Lenovo Tab 2 A10-30 TB2-X30F TB2-X30L. En definitva, una gran tablet a un precio de gama baja que cumplirá con todas tus expectativas. No te pierdas ningún contenido de tus redes sociales instalando en ella todas las aplicaciones que desees de Google Play. Entrada de tarjetas Micro SD Hasta 32GB. RAM 2GB DDR3. Envíos solo a península. En todos los pedidos, los gastos de envío son gratuitos. El tiempo de envío va de 7 a 10 días laborables siguientes a la realización del pedido, ya que este producto lo trabajamos bajo pedido a fabricante. La tablet hasta en 3 posiciones. Funda ara galaxy note 10.1, hueco para extraer el s-pen. se dobla para poner.